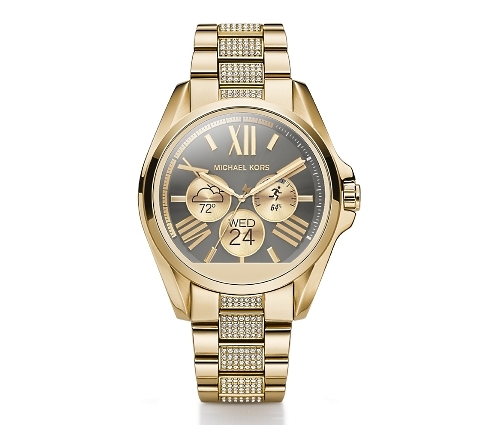 MICHAEL KORS: Michael Kors is jumping into the wearable technology market with its all-new Michael Kors Access display smart watch. Focused towards the fashion-forward customers, the timepiece has an exceptional design and an enchanting style. This watch runs flawlessly with both Android and iPhone handsets. This is the result of a partnership between Google and Michael Kors, which gives the latter permission to use the former’s Android Wear™ smart watch platform. This digital chronograph includes exclusive Michael Kors display faces that change with a swipe – customising the look according to one’s surroundings. Whether you want a digital timepiece for when you go to the gym or a lively, dazzling look for clubbing or night outs, Michael Kors Access has it all. With interchangeable leather and silicone wristbands, it is the perfect accessory for glamorous women and technology and style-conscious men. 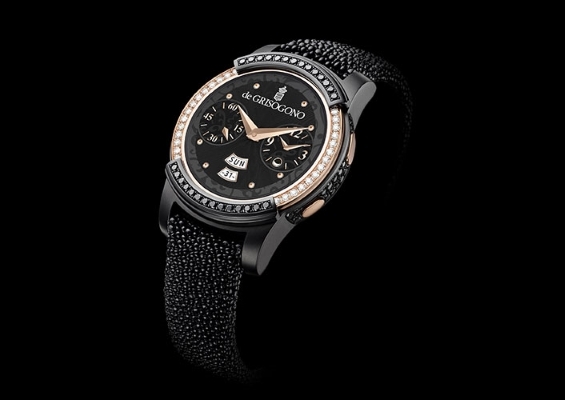 Samsung and de Grisogono: Samsung recently announced their collaboration with the legendary and glamorous jewellery and watch maker, de Grisogono. 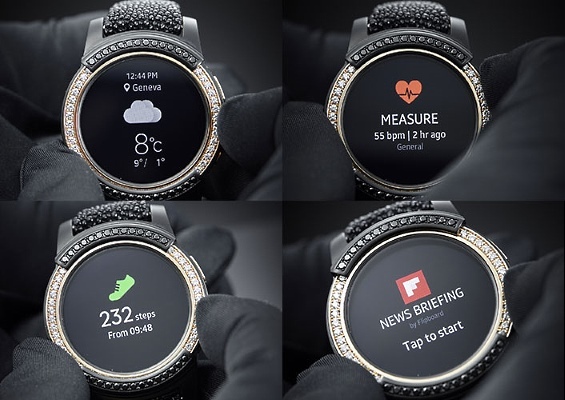 They have co-created the Samsung Gear S2 by de Grisogono – featuring the ground-breaking Gear S2 technology by Samsung embodied in a jewellery watch designed and sculpted in gold and precious jewels. The Samsung Gear S2 by de Grisogono brings back the traditional methods of watchmaking and jewellery design and combines them in an elegant manner, reminding everyone of the typical de Grisogono design heritage. Rose gold forms the base of the design with over 100 black and white diamonds and the trademark de Grisogono galuchat studded on the timepiece to create an eternal piece of art. The diamond-set gold bezel turns easily around the dial, allowing the user access to all the Gear S2’s collection of applications and features, including notifications and activity logs. 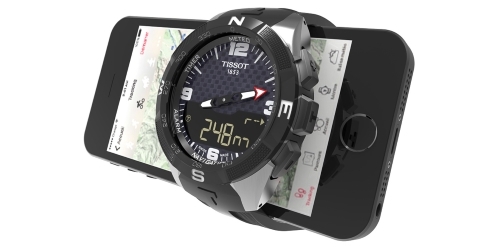 Tissot: Tissot has gone in another direction by launching Smart-Touch, an innovative concept designed to easily connect to your phone. The watch uses Bluetooth to link with the phone and gives navigation directions by moving its hands. The watch can synchronize itself to the local time zone by using information on the smart phone. The timepiece is designed to trigger an alarm on a fob, which is sold along with the watch and can assist in finding misplaced keys. Another interesting feature is a solar panel, which is used to recharge the battery of the watch. The solar panel is expected to last up to a year and it needs to be replaced after that. Frederique Constant Geneve: Renowned for its classical and refined timepieces of extraordinary value, Swiss watch manufacturer Frederique Constant Geneve, launched a new model of Horological Smart watch powered by MotionX®, giving customers a window to the exclusive timepieces designed for 2016. 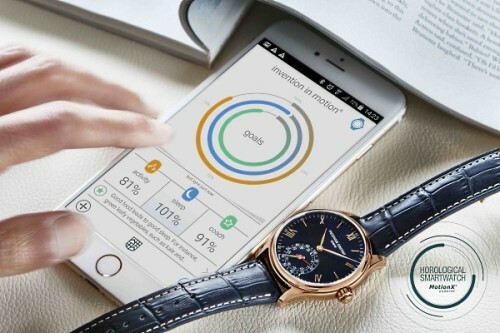 With 16,000 Horological smart watches shipped in 2015, Frederique Constant was the most successful Swiss watch manufacturer in the last year. The new Frederique Constant Horological Smartwatch combines ground-breaking technology with their iconic watchmaking tradition to create an elegant timepiece that redefines luxury and simplicity. The “smart” aspect of the watch is the outstanding ability to monitor your activity and sleeping patterns. The percentage of activity or sleep against your goal in real-time is displayed at the smaller dial at 6 o’ clock. The elusive MotionX-365® app is available for Android and iOS users, with simple graphics to understand how much one has slept during the day, week or month. With a 42 mm polished rose gold plated steel case, an appealing navy blue dial, and a convex sapphire crystal protecting the charmingly stunning dial, this watch is a visual delight. The timepiece boasts a spectacular blue alligator leather strap and is waterproof up to 50 meters. Mondaine: Mondaine has been one of the pioneering Swiss watchmakers since its launch in 1986, with the use of iconic elements such as the SBB Swiss railway clock and the Helvetica® font. 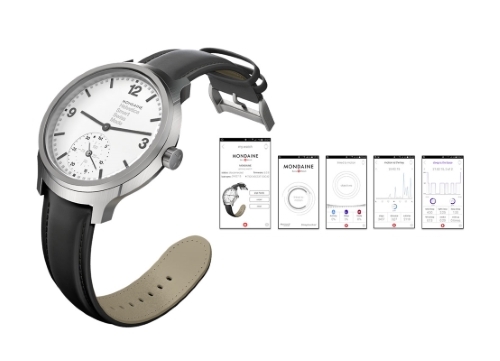 Mondaine entered the world of smart watches with its latest launch of Mondaine Helvetica No 1 at Baselworld. The watch is proudly designed to preserve the heritage of the brand whilst taking a brave step into the future. The sub dial at 6 o’ clock features an analogue, which represents an innovative piece of technology that is at the heart of this new timepiece. Monitoring activity and sleep has never been easier with the MotionX® technology instilled in the timepiece. The bi-directional communication between the watch and the phone/tablet using the downloaded app makes it extremely easy for the user to keep track of important information while on the go. Featuring a classic brushed matte steel case, white dial, sapphire crystal and a soft leather strap, the Mondaine Helvetica No 1 is a timepiece which skilfully straddles the two worlds of horology and technology. Mondaine has managed to merge Swiss watchmaking and classic design credentials, and combine them with the latest technological advancements to create a timepiece that flatters everyone who gets their hands on it. Veldt: Tokyo-based watch giant, Veldt showcased two new series fashioned in a collaboration with Kyoto Denims at its first ever exhibition at Baselworld. With an underlying tone of an analogue watch, Veldt Serendipity is a watch fit or any kind of occasion. The timepiece comes packed with ingeniously placed LED lights and a small display providing synced information from your smartphone. The intuitive and elegant features of the watch make it the perfect accessory to a business meeting or a fashionable outing. This watch was designed to reduce digital stress for people, who were tired of looking into their smartphones for basic information, and who were weighed down by the excessive and unnecessary information available on their smartphones. With the option to limit information on the watch by pre-registering people whose details you wish to display, the user is left free to focus only on the important things. The watch will be available for both Android and iOS platforms, with new Kyoto Denim collaboration model combining analogue and digital in a never seen before manner. The Indigo model was designed keeping the simple denim structure in mind, while the Night Blossom model comes packed with a custom made watch band, which is dyed by hand with cherry blossoms. While these are a few of the smart watches at Baselworld that caught out eye, you could also check out some beautiful jewellery watches showcased at this annual horology show, by clicking here.